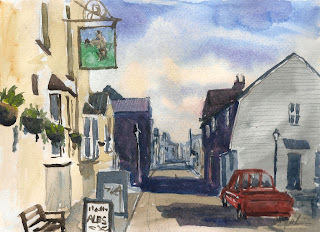 This Watercolor is of the main street of Old Leigh on Sea. It is a fishing village near where I live. It is famous for the seafood caught on the Thames Estuary. I have made video of this being painted, I will upload it soon.